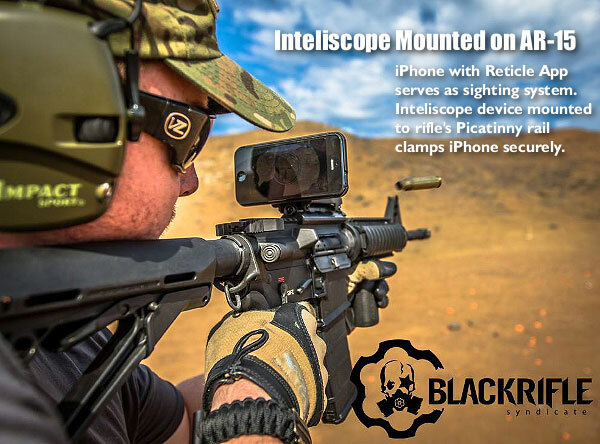 Replace your scope with an iPhone? That is now possible with the Inteliscope. This new product provides a rigid mount for an iPhone that attaches to your firearm’s Picatinny rail. A special software App allows the Inteliscope to be zeroed, with a variety of user-selectable reticles. Simply tap a button on the iPhone screen to switch reticles. You can even record video of your shooting session. The Inteliscope system costs $99.00, which includes rail mount, iPhone holder, and iOS App. This set-up offers some benefits for short-range plinking and tactical-style shooting with relatively large targets. It may be best for Paintball and Airsoft applications. The built-in Shot Timer is useful for action shooting events. However, we have concerns about the long-term durability of an iPhone when used on a centerfire rifle. In addition, this kind of set-up is cumbersome and not particularly weatherproof. Therefore it has questionable utility for a hunter in the field. On the other hand, this device could be a superb training aid. The Inteliscope provides a large display that can be viewed from a relatively wide angle. This allows a trainer/instructer to see how the shooter is aiming the rifle. The iPhone’s video-capture capability lets the shooter record his practice session. The ability to “share the view” (with an instructor) and record video (for later analysis), makes the Inteliscope a very valuable training tool. We know that juniors will enjoy seeing their targets through a digital screen. Is There an Optical/Digital System in Your Future? We doubt that most of our readers will want to purchase an Inteliscope. Since magnification is limited to the zoom capability of the iPhone, and the lens is small and cheap, this device will never provide the sharpness, clarity, or resolution of a fine rifle-scope. However, we think the Inteliscope is important because it shows how a small lens, combined with a digital viewing screen, can completely replace iron sights or a conventional optical scope. We think the Inteliscope is important as a precursor of future integrated optical + digital technologies. In truth, a combined optical/digital system may be more suited to benchresters than hunters. A small, high-magnification optic (not much bigger than a pill bottle) could be mounted to the scope rail of a benchrest rifle. Windage and elevation could be adjusted externally, or via software. Light would pass through the optic’s lens to a high-resolution sensor — the kind already used in quality digital cameras. Then the “view” from the lens could be passed to a digital screen (or iPhone) via a cord, or via a wireless blue-tooth or WIFI connection. The screen (or iPhone) could then be placed on the bench in a position most convenient for the shooter. The Inteliscope demonstrates how software can provide the aiming reticle. With the very best high-magnification competition scopes now approaching $3000.00, it is time to look at other solutions. By reducing the size of the lens system and outputting the “view” to an iPhone or similar device, the entire cost of the rifle-mounted optic could be much less than we are paying now for premium rifle-scopes. 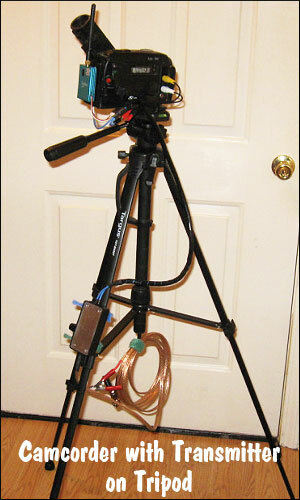 Share the post "Inteliscope — Gun-Mounted SmartPhone Sighting System"
Forum Member Okey developed a cool, low-budget, long-range target cam system that displays target views on a large, flat-screen TV. Initial testing shows the system works very well. The TV monitor is installed in a Shooting Shack that allows year-round shooting, even in cold weather. The big monitor allows shooters to easily see their groups from any shooting position in the shack. The 700mW 2.4 GHz A/V transmitter and receiver were sourced from ProtectionDepot.com. 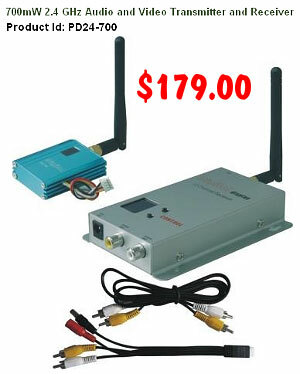 Combo price for both transmitter and receiver was a reasonable $179.00 (NOTE: it is $159.99 ON SALE right now, November 2013). 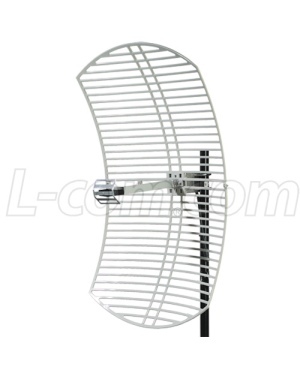 The 2.4 gHZ, 24 dBi antenna cost only $57.99 from L-Com.com. 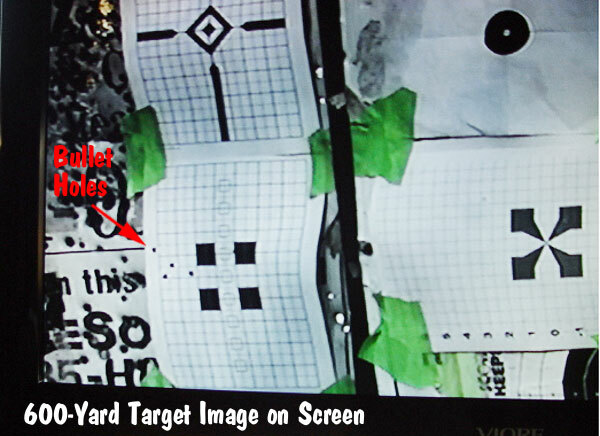 Share the post "DIY Big-Screen Target Cam System with High-Gain Antenna"
A poll conducted for the National Shooting Sports Foundation has found Americans are highly skeptical of the reliability of user authorized technology for firearms. They also say overwhelmingly that they would not be likely to buy a so-called “smart gun” and overwhelmingly oppose any government mandate requiring the use of this technology should it become available. Asked “How familiar are you with efforts to develop a firearm that will only fire for a specific authorized person(s)?”, only 20 percent of respondents said they were very or somewhat familiar with the concept of “smart gun” technology. When told that such firearms would incorporate biometric or radio frequency identification (RFID) with an activation system that would rely on battery power, 74 percent of respondents said that these firearms would not be reliable at all or very reliable. Gun owners overwhelmingly (84%) believed a smart gun would not be reliable, while a clear majority (60%) of non-gun owners also believed they would not be reliable. An overwhelming 74 percent of respondents overall said that they would not buy or would not very likely buy such a smart gun. Some 70 percent of the survey sample said that they did not believe that government should mandate that all firearms produced incorporate smart gun technology should it become commercially available. These findings were among the results of a national scientific poll of more than 1,200 Americans conducted in October by McKeon & Associates and released by the NSSF. Although attempts to develop and market firearms equipped with authorized user recognition technology have been discussed for many years, the topic has been revived in recent months by some gun control advocates, remarks by President Obama and by the depiction of a smart gun in the latest James Bond movie. Read the NSSF press release for more details. Share the post "Americans Wary of RFID and Biometric “Smart Gun” Technology"